The Youth Action Team are a group of aspiring young leaders who act as ambassadors for our work. 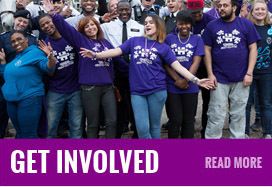 Made up of volunteers age 16 - 19, The Youth Action Team actively participate in the work of Nutmeg Community, engage with public decision making and inspire other young people while developing team work and communication skills. Youth Action Team members receive guidance and training from Nutmeg Community staff while participating in projects that have a real positive impact on their community. The Youth Action Team work variety of exciting projects from organizing events, making films or campaigning on the issues important to themselves and the local community. If you are aged 16 -19 and living in Barnet, why not apply? This is your opportunity to actively contribute to your community while gaining the skills that employers value. Email info@nutmegcommunity.org with Youth Action Team as the subject.